Just as important as keeping your body fit and healthy, is keeping your brain fit and healthy. Making sure that your most important organ is functioning correctly not only helps with mood, concentration, and memory, it also ensures that the other organs are working to their full ability as well. 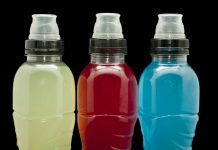 While it may seem that your brain functions the same all the time, we all know the cloudiness we feel after a hangover versus the sharp attention we can hone in after a good workout. Training your brain keeps you on guard and allows you to make the right choices for you at all times. Exercise and mental training are not the only things that can help with mental clarity; the food you consume plays a large part in this too. The gut is often referred to as the ‘little brain’ and not eating the correct foods will lead to poor brain functioning as you don’t receive the nutrients you need. Moreover, just how milk thistle and peppermint are great for the liver, there are specific foods which dramatically increase brain health, allowing you to access a higher functioning capacity for memory and focus. 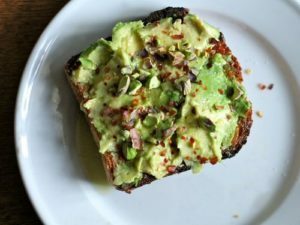 Do not be fooled by the nay-sayers slating avocados for their high fat levels. The fats that are contained in avocados are monosaturated fats; the good kind of fat for your body. This type of fat keeps the blood sugar levels stable which helps with brain functioning. What’s more, avocados are rich in folate and Vitamin K, both of which assist with cognitive functioning while preventing blood clots which could lead to a stroke. These delicious little nuggets of goodness are amazing for the brain. High in gallic acid, they help to protect the brain from degeneration and the damage caused by stress. They are also one of the richest foods in anti-oxidants as well as containing high levels of Vitamin K.
The family that broccoli belongs to (the same as kale and Brussel sprouts) is somewhat of a super food category. Not only is broccoli super high in anti-oxidants and Vitamins C and K, it also contains a component called choline. Choline is used for detoxifying the body as well as in the production of DNA and in nerve signaling. By taking in high levels of choline, it helps to keep your brain sharp and your memory on point. Omega-3 fatty acids all the way! 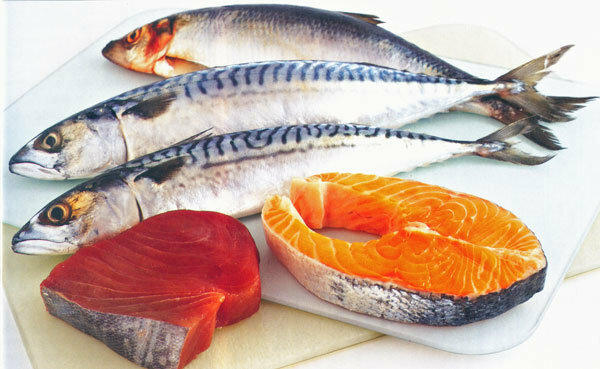 Essential fatty acids contained in oily fish cannot be produced by the body and therefore, must be obtained through the diet. 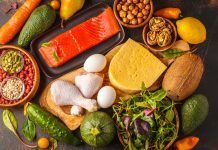 There are links between low levels of fatty acids and Alzheimer’s Disease and memory loss, so making sure you keep high levels in your body helps to prevent brain degenerative disorders. Like many foods in nature, walnuts look like what they are good for: the brain. 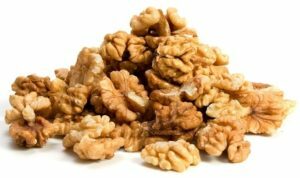 Again, in an Alzheimer’s Disease study, results showed that eating walnuts, which are also high in fatty acids, is good for memory and cognitive functioning. The have also been shown to counteract age-induced cognitive decline. As an added bonus, walnuts are amazing for cholesterol as they have high levels of monosaturated fats, just like avocados. Eggs are also a bodybuilder’s favorite, but they should also be a mind builder’s favorite too. Egg yolk is high in choline, while also breaking down bethane, which is a process that increases happiness levels!